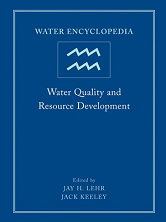 This volume deals with the big picture of regional water supplies, how they become contaminated, how they can be protected and how they can best serve the surrounding populations and industries. Significant focus is placed upon the natural chemistry of available water supplies and its biological impacts. Case studies from regions around the world offer an excellent picture of the world's water resources.